Its small size (3in x 1.5in x 1in) makes the GPS Tracker very portable. An internal motion sensor will help maximize battery charge when not in use by entering in standby mode. Follow the units track minute by minute (free upgrade to 30 second updates) on the user friendly tracking website with Google Maps. Receive alerts to pre-defined SMS numbers and email addresses when the central button on the tracker has been pressed. Get alerts from the GPS Tracker for speeding, entering or leaving predefined areas or when the tracker's battery charge is low. 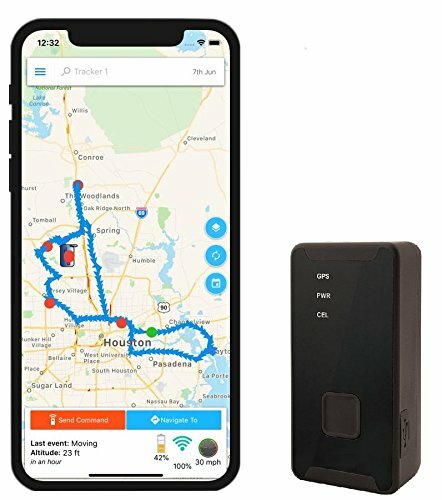 Works great for tracking: Cars, trucks, elderly, children and assets. Next, a second signal is sent from the tracking unit to our servers; using cellular networks for real time tracking. When no cellular signal is available the Tracking Unit will save the track in its memory until it regains signal. Battery charge may last about 1 week depending on use and report frequency.